Our second eldest horse has been a member of our family since 1996 when he was a young colt. 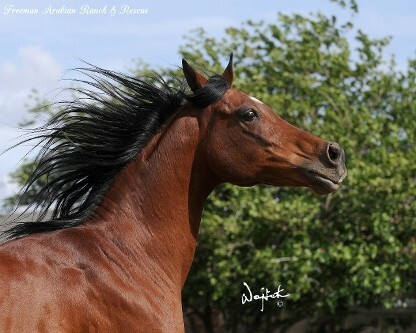 Bred by our dear friends from quality parents and being loved and cared for his entire life has not spared him from PPID/Equine Cushing's Disease and a bout with laminits. Impulse takes daily medication to manage his PPID. Many years ago, he also somehow suffered a fracture to his spinous processes while playing in the pasture. 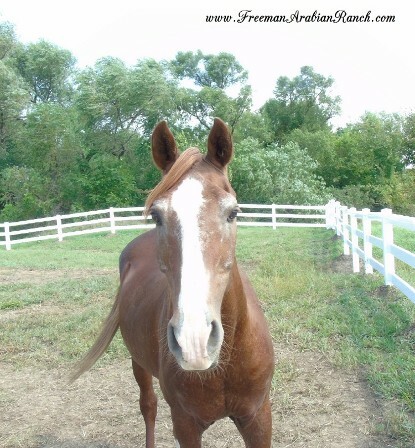 His fractures have long since healed and he thoroughly enjoys being a beloved family member, friend and companion horse. 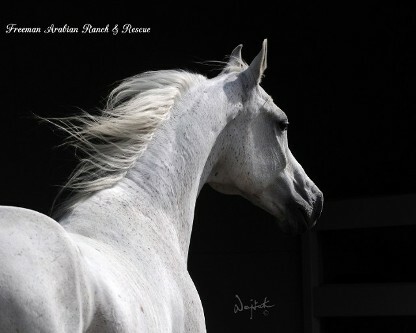 As one of the last colts sired by an extremely popular Arabian stallion before his passing, Casino was thrust into the show world at a very young age. His show career was not as successful as was hoped and, in spite of his breeders’ significant monetary investment, he was offered “free to a good home” with the caveat that he be gelded. 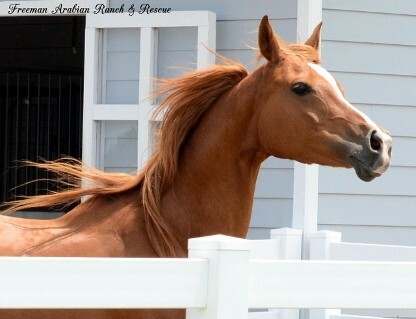 He was rehomed and in this individuals care he was gelded and “broke” using what we and many others consider to be outdated and unkind techniques which did not produce the desired results so he was put up for sale even though selling him was against the agreement with his original breeders. 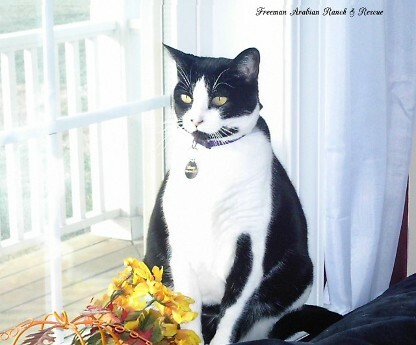 With the authorization of his original breeders, we “reimbursed his current owner for her expenses” and Casino was welcomed into our rescue family in 2000. He is a sensitive, kind, gentle and loving soul who will most likely always carry the emotional scars from his “training”. Casino now enjoys the peaceful comfort of life as a pampered horse. This petite and pretty mare is originally from Canada. She joined our family as a young filly. She has a skin depigmentation condition called Vitilago and later developed insulin resistance and laminitis. She requires twice daily medication for the IR and is under the care of a specialized farrier for her laminitis. Zaraa is all heart with just the right amount of sass! 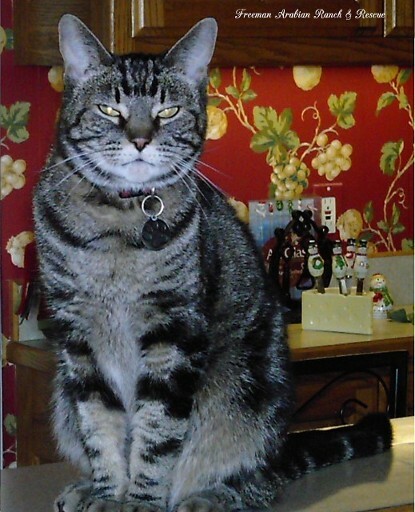 Unexpected economic circumstances caused Allie’s previous owners to seek rehoming. She had a successful show career but an unfortunate eye injury ended that career. She was eleven years old and untrained under saddle so she was not easily rehomed. Her previous owners, being more concerned about a safe and loving home than money, allowed us to welcome Allie into our sanctuary in 2013. She and Zaraa have been inseparable since! In 2016 we were contacted by an elderly couple wo were no longer able to properly care for their four horses. We were able to find placement for three of the horses but no one was willing to take in a twenty eight year old Arabian stallion - so we did. 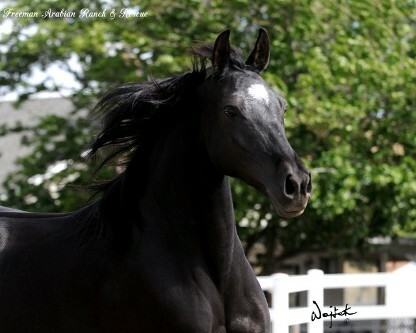 We borrowed money, built stallion/quarantine facilities and welcomed Sha-Ron into our sanctuary family with open arms. This grand senior will be with us for the rest of his life which we hope will be for many, many more years to come! 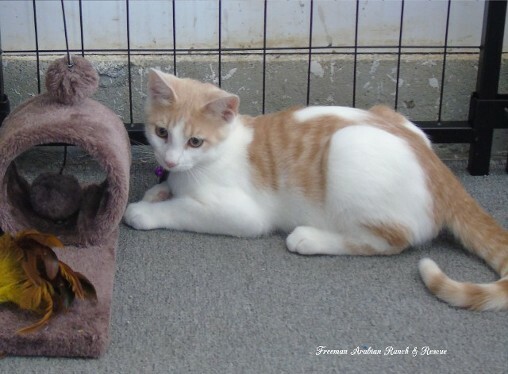 In 2012 we found this little guy wet and shivering under our horse trailer. We made every effort to find his owners but he was never claimed therefore Rubio became a cherished member of our sanctuary family. 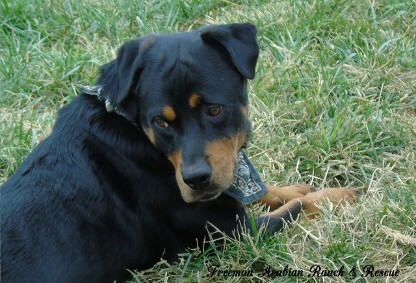 We are not entirely certain of Brenna’s situation before she came under the care of Mid America Rottweiler Rescue. She was found as a stray; underweight, heartworm positive and had recently delivered a litter of pups. After successful heartworm treatment she was offered for adoption and we instantly fell in love with her sweet face and energetic personality. She has been a beloved member of our sanctuary family since 2012. 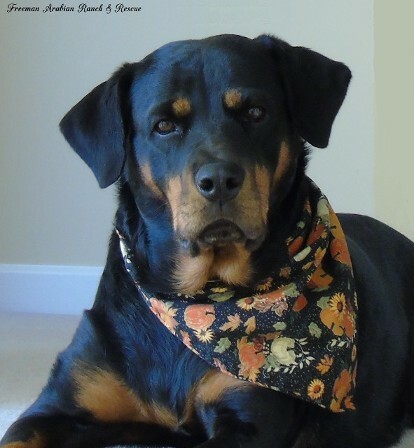 This beautiful soul spent the first few years of her life as a breeder dog in an Amish puppy mill then she was heartlessly sold at auction in 2014. Thankfully she was purchased by a dog rescue but was not doing well in a kennel environment. Upon hearing her situation we offered her lifetime sanctuary. Next began the long process of earning her trust and reversing the reprehensible emotional terror inflicted upon her at the puppy mill. In addition she has hip dysplasia and should not have been bred. She currently takes twice daily joint supplements for her hip dysplasia but her Vet believes more extensive treatment or even surgery may be necessary in the future. Here Apolonia is learning what it means be truly loved. 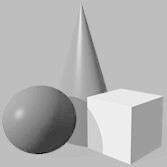 With kindness, patience and consistency, she is making great progress. 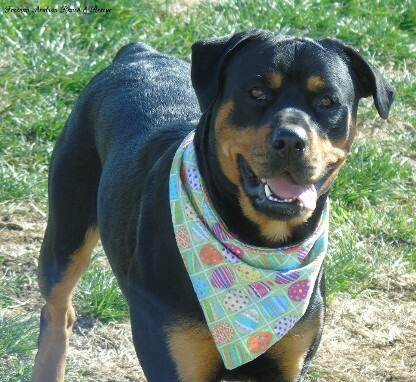 In early 2015 we were contacted by another rescue regarding a local Rottweiler male in need of rehoming. 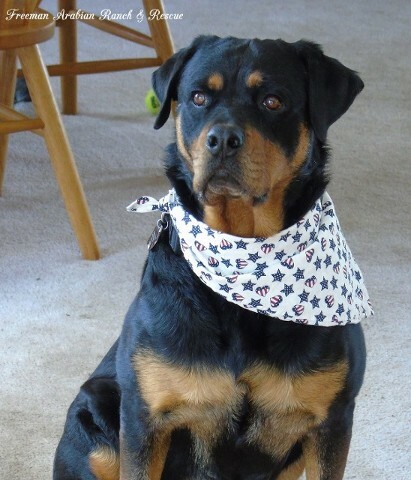 His previous dad is in the military serving our country and found it increasingly difficult to find people to help him with the care of his dog when he was in training or deployed. He considered foster care but ultimately decided to responsibly seek adoption assistance through rescues. We were honored to welcome Hank into our sanctuary family. He has been our most challenging dog to date but after neutering then basic followed by advanced training, he is well on his way to becoming a true gentleman. 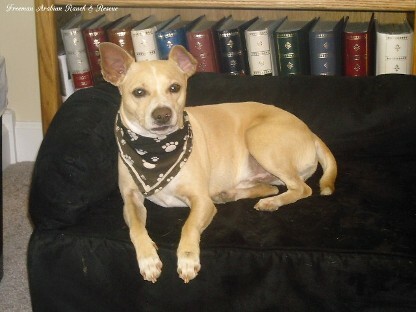 Denver was abandoned at a Kansas shelter by his previous family at approximately eight years of age. He was so frightened, confused and heartbroken that he was too fearful to be evaluated for rehoming and was scheduled for euthanasia or “rescue only” placement. 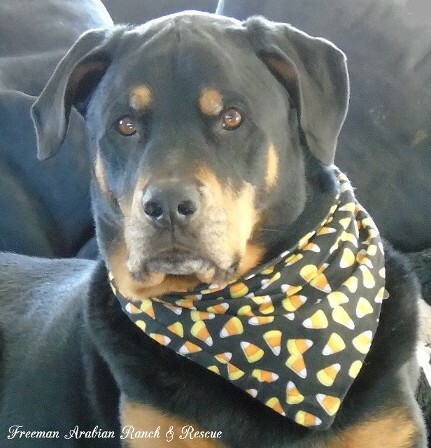 We were made aware of his situation by a friend via social media and instantly volunteered to pick up and foster him for Mid America Rottweiler Rescue. 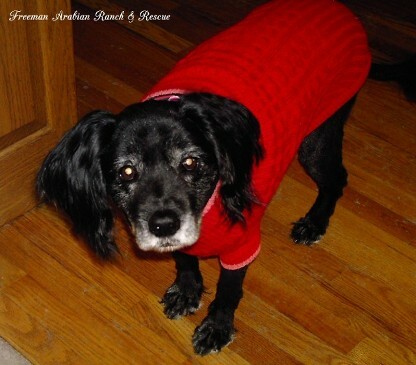 We quickly fell in love with this shy and timid senior and became his forever family. 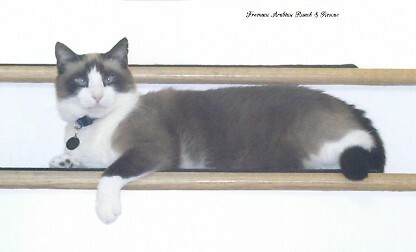 In 2006 this gorgeous cat was dumped in our neighborhood along with several other Ragdoll cats. He is cross eyed which most likely inhibited his ability to feed himself as he was starving when we found him. We began leaving food out for him then knew he had chosen us when we came home to find him inside the house with our dogs! He is now a well loved and well fed cat. Sweet Missy was originally a stray cat in our old neighborhood. Our neighbors put out food for strays but Missy is very demure and quiet so she was struggling to get adequate food and shelter. When we moved in, she began coming to our house literally crying for food. She started sleeping first in our garage then in the house. She somehow knew which house to come to (we think she and Joshua pre-planned the whole thing)! On Father’s Day evening in 2014 we were headed to the barn to say goodnight to our horses when to our dismay we discovered a feral cat in our garage in obvious distress with a badly injured hind leg. We were eventually able to get him into a cat carrier then took him immediately to our Veterinarian. Unfortunately his leg had multiple fractures requiring complete amputation. He also needed treatment for fleas and ticks as well as neutering. He is polydactyl (extra toes on his paws) adding to his allure. 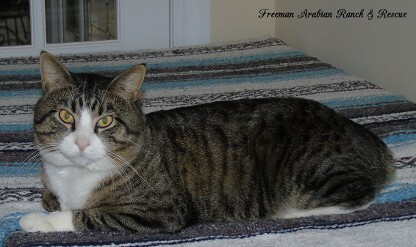 Tre has made a complete recovery and is now one of our sweetest and most affectionate cats. We saw a plea for help with a momma cat and her remaining kitten on social media. Bonnie was practically a kitten herself at that time. We instantly offered to foster both cats but failed at fostering once again and became her forever family. She is very active, sweet, silly and playful not to mention beautiful. 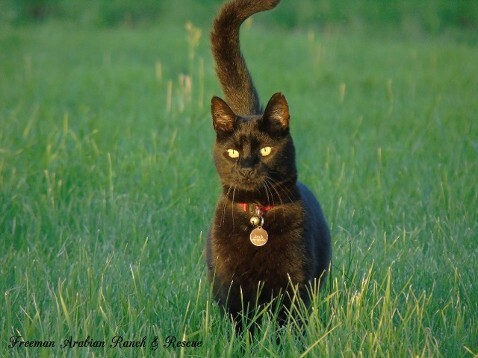 Sadly, her son Herbie, died in 2016 from Bob Cat Fever. 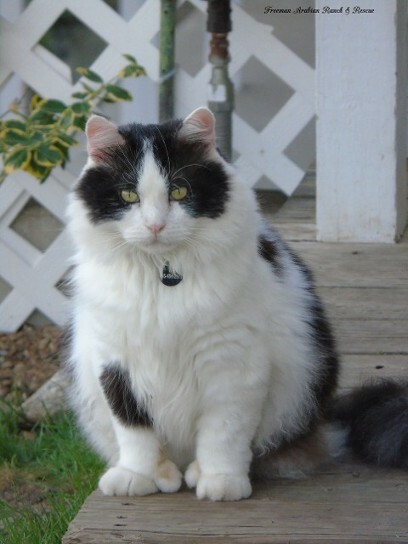 As a hungry stray cat in the middle of winter, Bobby came to us looking for food, affection and care and he found it. He is a very handsome and talkative fellow who has a bobbed tail (not sure if he was born this way or if this is the result of an injury). He is a fun addition to our clowder of cats. 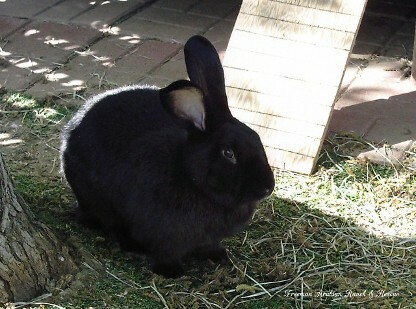 Our bunny was rescued directly from a breeder/butcher. 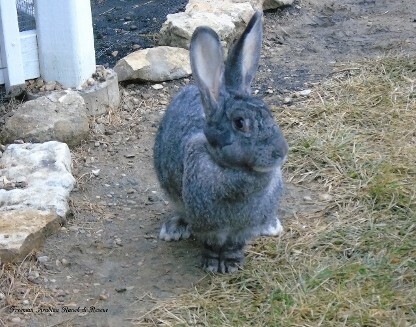 She was originally one of his breeding bunnies but her status quickly changed when she stopped producing large litters. She then found herself in line for butchering. We paid her “meat price” and brought her to our sanctuary to live out her life peacefully. She was badly infested with ear mites when we initially rescued her. 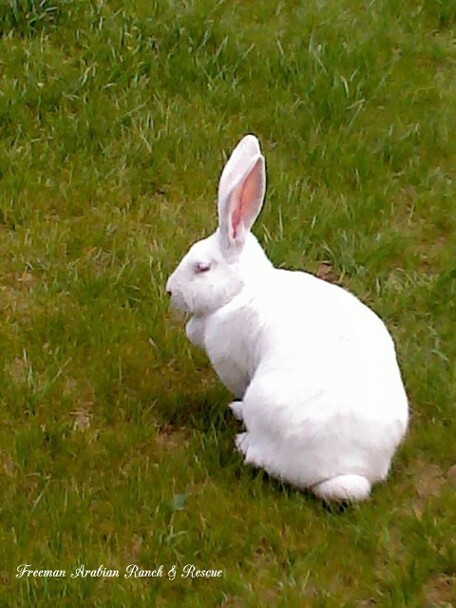 She is not very friendly especially toward other bunnies but given her previous circumstances this is understandable. Delilah is therefore our one and only bunny.